Have you ever dreamed of tasting your way through Carlino’s Market in West Chester after hours? Well, your dream will come true at Carlino’s Premier Spring Preview Party on Friday, March 14, 2014. Be the first to taste and experience our new Spring selection. Our chefs will unveil new, never before seen, mouthwatering creations for you to savor and enjoy. What’s a party without great beer, wine and cocktails? The Cheese School at Carlino’s will feature a selection of world class, local beers paired with our fabulous artisan cheeses. Carlino’s elite Pastry Chefs will pair our homemade, decadent pastries with fantastic local wines. And our resident Mixologist will be crafting signature cocktails to pair with our gourmet charcuterie and antipasti. Join the premier VIP tasting event of the season and taste all that is Carlino’s. Tickets for the event are available now by visiting www.carlinosmarket.com or by clicking here. Plan Your Visit to West Chester! Start planning your trips to West Chester to enjoy the multitude of year-round events in the historic setting of the Borough. New this year is the West Chester WinterFest, February 14-16, 2014, a three day festival with carriage rides, ice sculpting, retail sales and restaurant specials along with musical performances at select venues. Head over to Downtownwestchester.com to see a full list of events happening throughout Downtown West Chester the year. Head to Iron Hill Brewery for dishes like Eggs Benedict, Blue Crab Omelet and Breakfast Pizza. Brunch is served from 11 a.m. to 2 p.m.
Take a drive out through the rolling hills of Chester County to The Whip Tavern and try their Breakfast Bubble and Squeak, Cardamon Infused French Toast or Creamed Chipped Beef. Brunch is served from 11 a.m. to 2 p.m.
Head to the charming gem, Catherine’s Restaurant located in the heart of Unionville. The restaurant exudes a warm and welcoming ambiance along with a superb New American menu. Brunch is served from 11 a.m. to 2 p.m. For more information visit www.catherinesrestaurant.com. WCU Live! presents Stogie Kenyatta’s acclaimed solo show about African-American artist/activist Paul Robeson entitled The World is My Home: The Life of Paul Robeson. It’s a poignant, entertaining, heartfelt and humorous evening of theater. The show will be held on January 31, 2014 at 7:30pm at the Madeleine Wing Adler Theatre. Ticketed event. To purchase tickets and to learn more about the event visit www.wcupa.edu or click here. WCPL-125th-Celebration-Invitation Big birthdays like this don’t come along often, so a fun time is planned to help celebrate the West Chester Public Library’s 125th birthday. WCPL has been a fixture at the corner of North Church and Lafayette for 125 years. During that time the library has weathered economic ups and downs, an influenza epidemic, two world wars, a bevvy of librarians and hosts of library patrons young and old. We want to celebrate this legacy and the library’s future in our community. The gala celebration will take place this Saturday, November 9th from 6:30–10:30pm at the Chester County Historical Society. The event includes a cocktail hour, dinner and dancing. For more information click the flyer to the right or visit http://www.wcpubliclibrary.org. 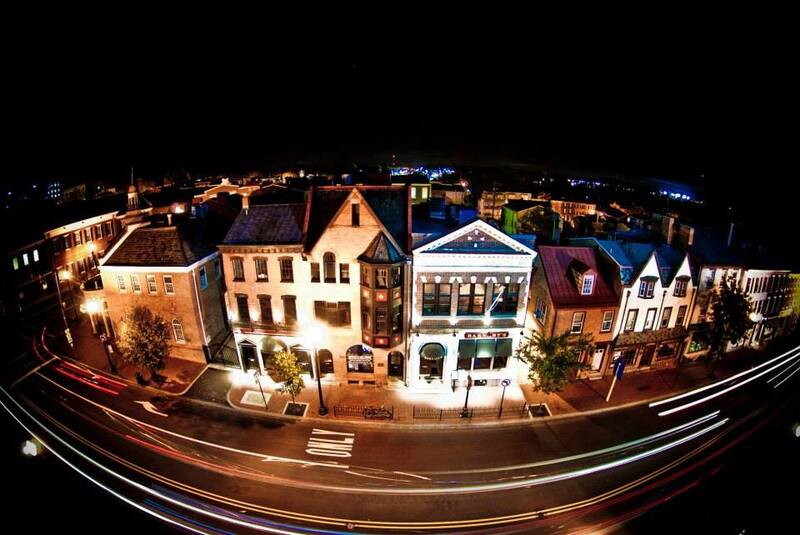 This weekend is your last chance to take a ghost tour of West Chester! Your guide will lead you on a 90-minute walk through the spooky lanes of downtown neighborhoods where you will explore the place of the shadow people, learn of lost souls of the underground railroad, and stand where the gallows once stood. The Ghost Tours of West Chester start at The Lincoln Room, (28 West Market St.) Tours begin at 8 pm, cost is $10. Offered only on Friday, 10/25 & Saturday, 10/26! Reservations are required! Don’t miss out on all the Halloween fun call 610-696-2102 for more information. This Sunday, October 20, Domestic Violence Center of Chester County will be hosting the Freedom Fashion Show at Mas Mexicali Cantina. While dining on a delicious lunch, you’ll be able to see fall looks from local boutiques including Green Street Consignment, Jane Chalfant & Kiki Boutique, Tish Boutique, and more. Fig event bloggers Jessica Conjar and Kelly Margera of gold+arrow will be providing stage styling. Enjoy shopping, networking, prizes, and more all for a great cause! Cost is just $20. For more information or to purchase tickets click here.